The Switch launches in March but if you need to play it earlier, the newest Nintendo system will be playable at Pax South. Check out the Alamo, the San Antonio River walk and then hit the Nintendo booth to see everything Switch related. All you need to check out the Nintendo booth is a Pax South badge and frankly, if you don’t have one of those; you’re not making it too far inside the Henry B. Gonzalez Convention Center. It already looks like Nintendo is trying harder with the Switch than they did with the Wii U. It doesn’t hurt that the Switch has the Legend of Zelda: Breath of the Wild as a launch title. There will be plenty of Switch games at Pax South for the crowd to see. You’ll be able to play Breath of the Wild, 1-2- Switch, Splatoon 2, ARMS, Mario Kart 8 Deluxe, Super Bomberman R, Snipperclips: Cut it Out, Together! And Ultra Street Fighter II: The Final Challengers during the convention. 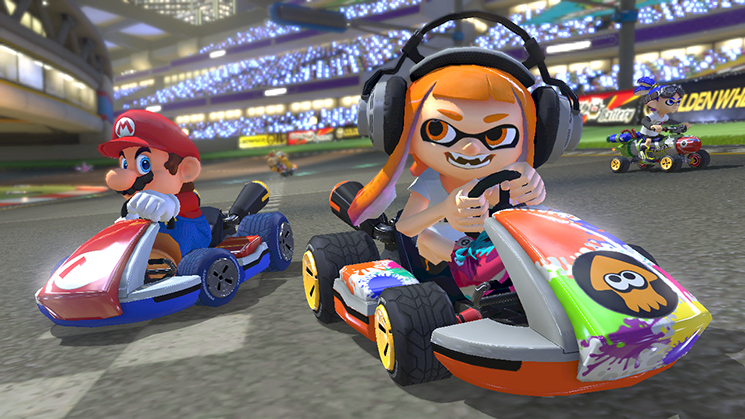 Nintendo fans will want to check out the likes of Splatoon 2, Mario Kart 8 Deluxe and Ultra Street Fighter II: The Final Challengers won’t be released for a couple of months after the Switch’s launch in March.